Transforming business through people. 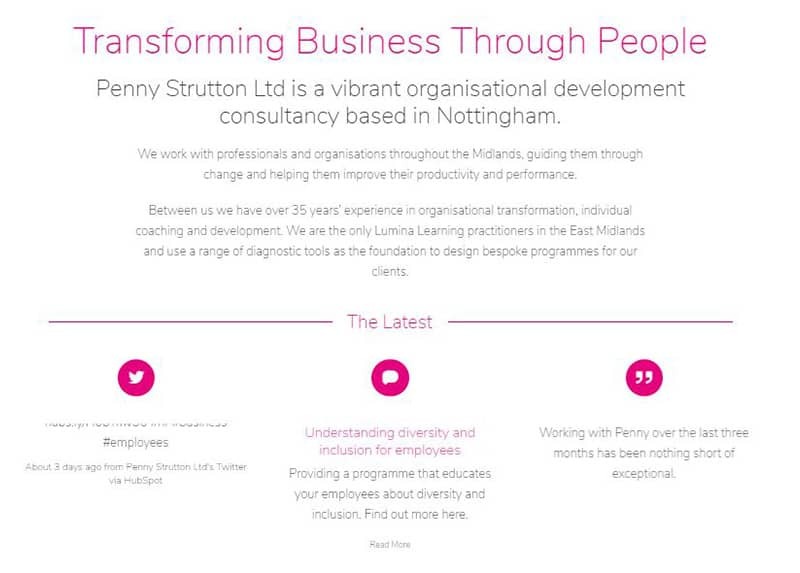 Penny Strutton Ltd is a vibrant organisational development consultancy based in Nottingham. Penny wanted a new website that she was able to edit herself along with a fresh clean design. The website was built in WordPress allowing Penny to edit the page. Training was provided to allow Penny to continue to building pages.